Thought to be the inspiration for Virginia Woolf’s “To the Lighthouse”, Godrevy Lighthouse stands 26 meters high and is one of the coast’s most famous landmarks. Our Easterly trip across the bay in the direction of Newquay offers views of Porthminster and Carbis Bay beaches before passing the long, sandy shores of Hayle Towans towards Gwithian and Godrevy. 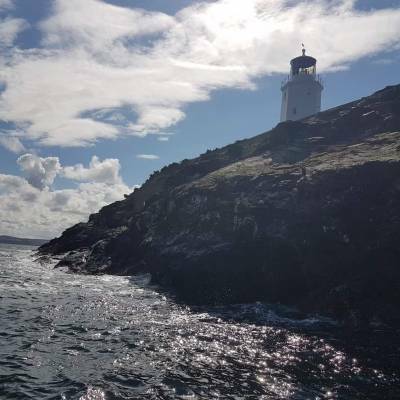 The Lighthouse, built in the late 1850’s hosts a colony of Atlantic gray seals and a fascinating history we explore during our approximate 15 minute stay. 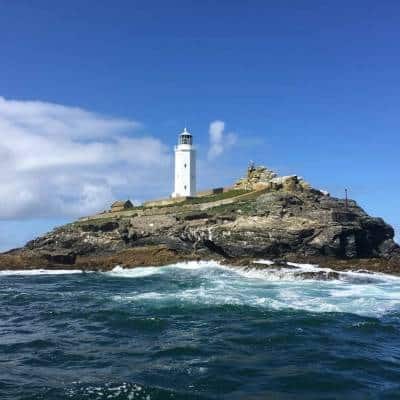 This boat trip skirts the coastline from St Ives to Godrevy island, giving passengers a close-up view of, Porthminster, Carbis Bay, Lelant and Hayle beaches. The boat passes the mouth of the Hayle Estuary and the infamous Hayle Bar. 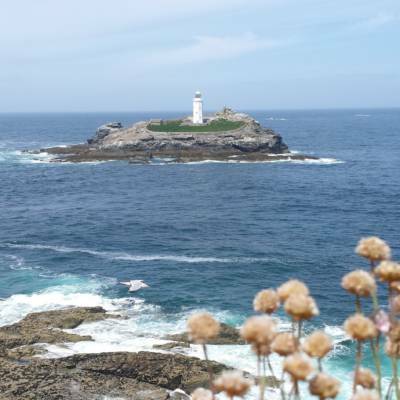 We pass both inner and outer sounds of Godrevy Island.